NextWhat Use Is the Future? San Francisco Archipelego by Burrito Justice. California is going to mutate dramatically over the next hundred years. Climate changes and cultural transformations will alter its landscapes and populations—perhaps beyond recognition to people living here today. A century ago, the state lured immigrants from around the world, who knew it only as a sunny image stamped on orange crates or, as a seaside paradise in Hollywood movies. Of course those pretty pictures covered up the state’s ugly history of xenophobia and atrocious labor practices in the fields and on the railroads. And that history is still with us, feeding into today’s conflicts over gentrification, racism in the criminal justice system, rampant sexism in the tech industry, and underpaid work for the underemployed in the service sector. The question facing us now is where Californians will take our state in the future. We are shaping the state with the decisions we make today, whether in our everyday lives, in boardrooms, or in urban policies. 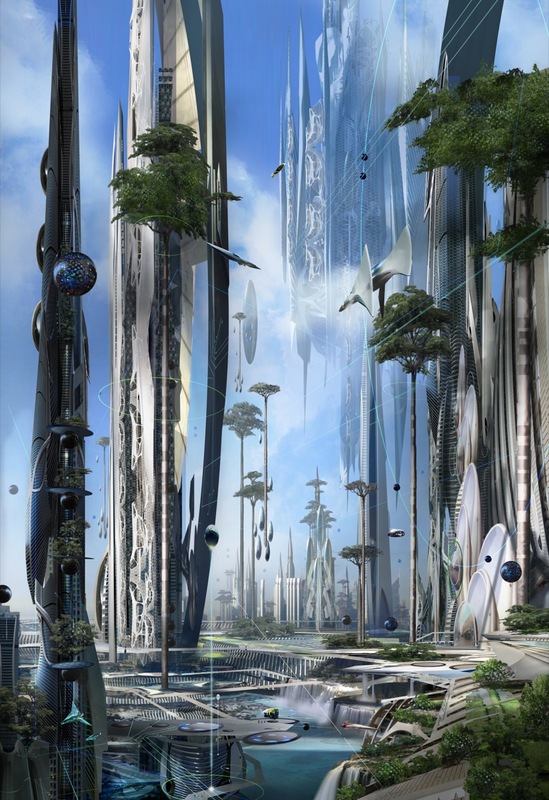 In this gallery you see many visions of what direction the state might take, from a dystopian hellhole of scarcity and labor exploitation to a sustainable civilization of green urban designs. 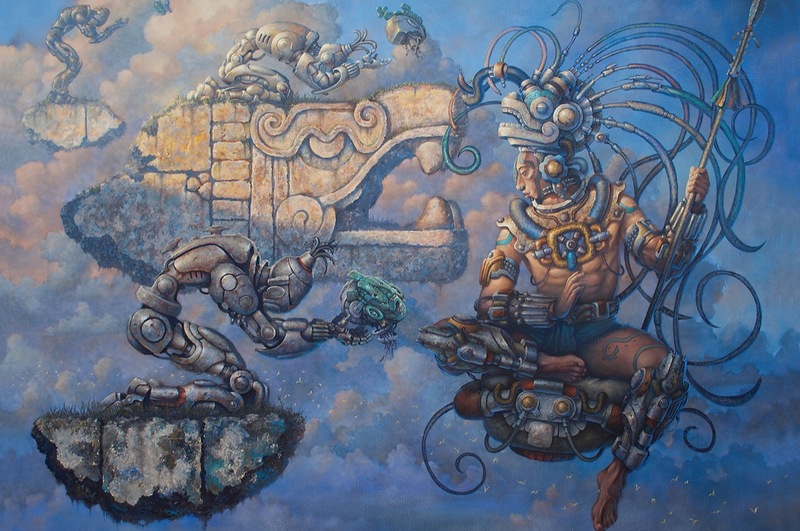 There are dreamy visions of Aztec-influenced cyborgs and anarchist collectives. There are ambivalent portraits of cities gone mad with consumer culture and class division. 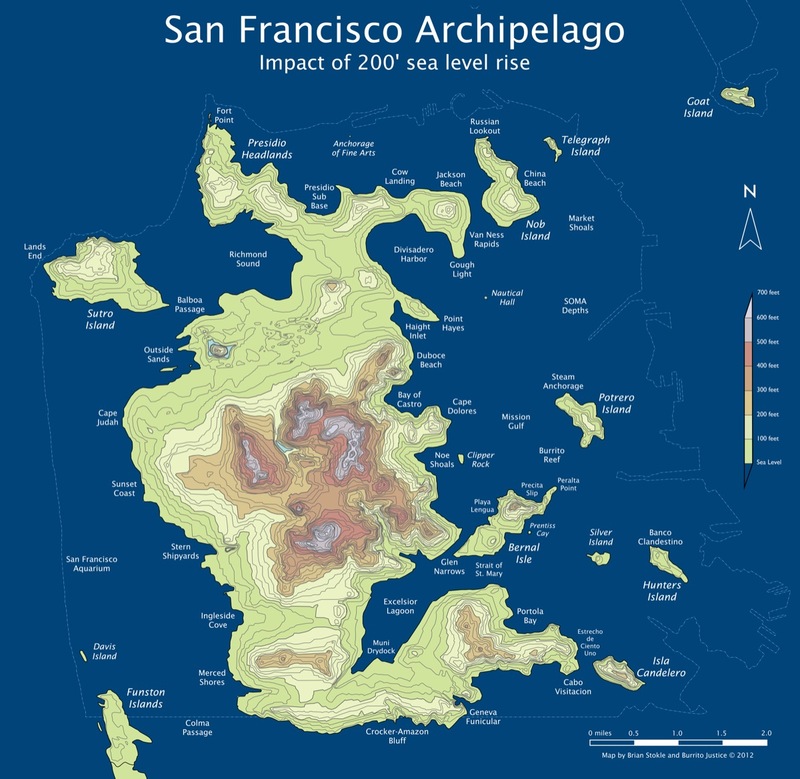 And, of course, there is a map of San Francisco’s new archipelago, created by the inevitable rising waters of a warmer world. The future is emerging all around us. It’s up to you which direction we will go. 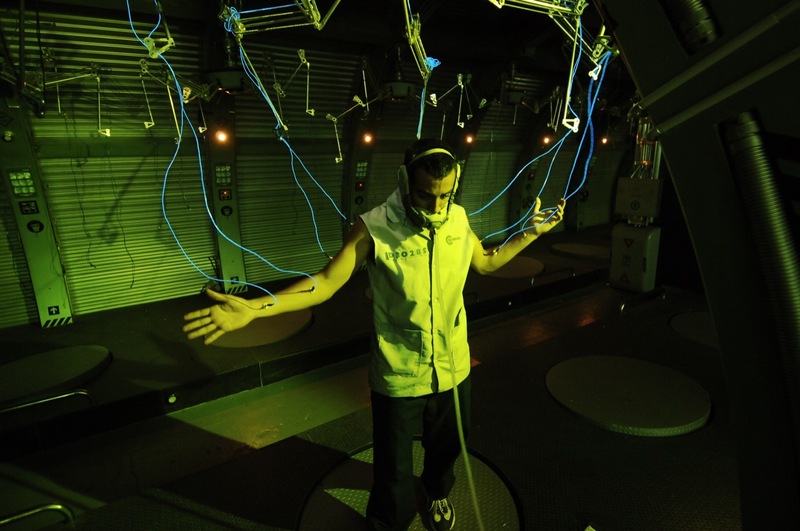 Still from Sleep Dealer (2008), about Mexicans hired to do day labor via telepresence rigs that plug into their nervous systems. 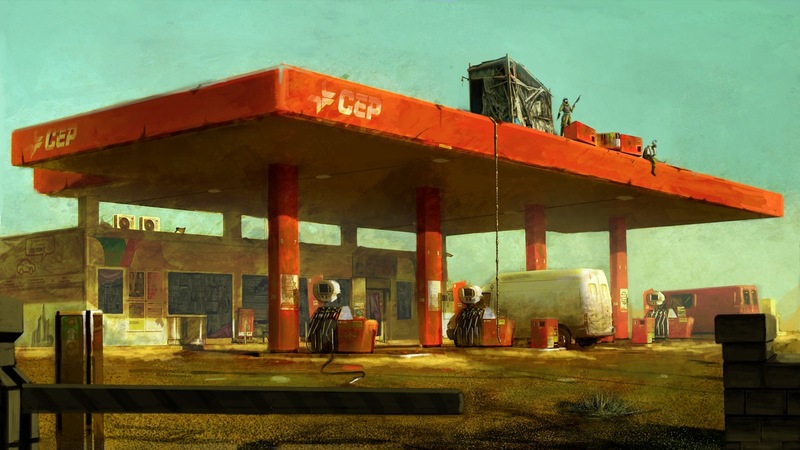 Bleak Gas Station by Jorem. © Jorem www.joremdesign.com. 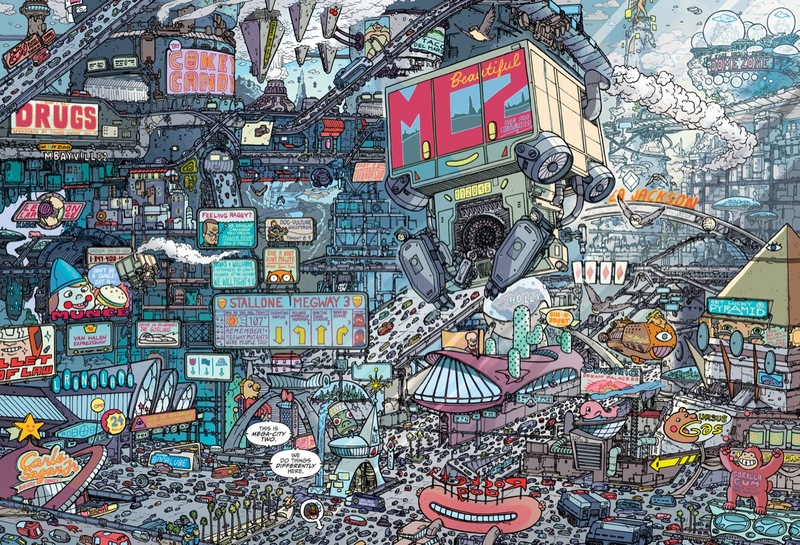 Los Angeles as depicted in Judge Dredd: Mega-City Two by by Ulises Farinas. Domador de robots by Raul Cruz. Cover of Popular Science by Stephan Martiniere.